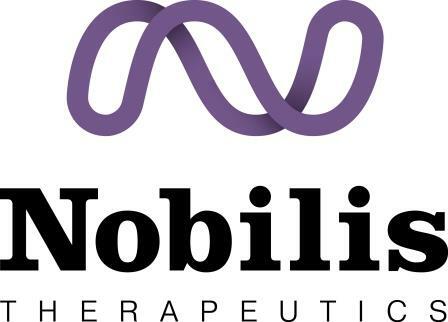 Nobilis Therapeutics, today announced addition of Dr. Paula Schnurr, Dr. Barbara Rothbaum and Dr. Israel Liberzon to its Scientific Advisory Board. PORTLAND, Ore., June 1, 2018	(Newswire.com) - Nobilis Therapeutics, today announced addition of Dr. Paula Schnurr, Dr. Barbara Rothbaum, and Dr. Israel Liberzon to its Scientific Advisory Board. Dr. Paula P. Schnurr*, PhD, is Executive Director of the VA National Center for PTSD. She is Professor of Psychiatry at the Geisel School of Medicine at Dartmouth University. She has written or co-edited over 200 chapters, books, and journal articles. Dr. Schnurr is editor-in-chief of the Clinician's Trauma Update-Online. She is Past-President of the International Society for Traumatic Stress Studies and is a fellow of the American Psychological Association and of the Association for Psychological Science. She previously served as Editor of the Journal of Traumatic Stress. She received her PhD in Experimental Psychology at Dartmouth College in 1984 and then completed a post-doctoral fellowship in the Department of Psychiatry at the Geisel School of Medicine at Dartmouth. Dr. Barbara Rothbaum, PhD, is a professor in the Department of Psychiatry and Behavioral Sciences at Emory University and director of Emory's Veterans Program. She is also director of the Trauma and Anxiety Recovery Program at Emory University School of Medicine. Dr. Rothbaum is a pioneer in the application of virtual reality exposure therapy to the treatment of psychological disorders. She served as a Blue Ribbon Panel Member for Pentagon officials and served on the committee for the Institute of Medicine’s (IOM) Study on Assessment of Ongoing Efforts in the Treatment of Post-Traumatic Stress Disorder (PTSD). Author of over 300 scientific papers and chapters, Dr. Rothbaum has published six books on the treatment of PTSD. She has served on the Board of Directors and as past president of the International Society of Traumatic Stress Studies (ISTSS) and served as Associate Editor of The Journal of Traumatic Stress. “It is an honor to welcome Drs. Schnurr, Rothbaum and Liberzon to our advisory board. They are well-recognized opinion leaders in PTSD, who have published extensively and have been in the forefront of clinical research in this field," said Dr. Vlad Bogin, CEO of Nobilis Therapeutics. “As we prepare to enter into a phase IIb/III PTSD trial to assess the effects of our drug-device treatment, we cannot think of more accomplished academicians to help us move our clinical development program forward,” he continued. 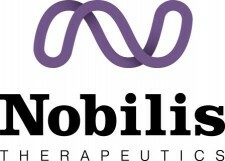 Nobilis Therapeutics is a biotechnology company that is focused on development and commercialization of proprietary inhalation-based treatments using controlled device administration of inert gases for psychiatric and neurodegenerative disorders.